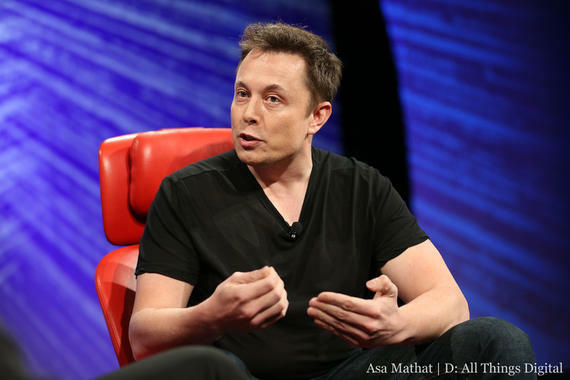 You probably don’t think of Elon Musk or Stephen Hawking as technophobes. After all, Musk’s Tesla Motors practically created the electric-vehicle market, and Hawking is the brain behind the theory of everything. Still, both visionaries were identified as members of a “loose coalition” of “alarmists” who won its 2015 Luddite Award, a prize given by the InformationTechnology & Innovation Foundation. For good measure, Bill Gates, the man most responsible for bringing computers into our homes, was also named. Why would such august company, behind some of the greatest technological and scientific advances of the past 30 years, be deemed Luddites? Because they “stirred fear and hysteria” in warning that artificial intelligence could too easily run amok. The so-called alarmists were among 10 nominees for the ITIF’s second annual Luddite Award, but earned top “honors” after garnering 27 percent of 3,680 votes. Elon Musk of Tesla and SpaceX “won” the ITIF’s 2015 Luddite Award because of his “alarmist” warnings about the potential dangers of AI. The term Luddite comes from 19th century England, where weavers and textile workers protested power looms and other labor-saving devices. Merriam Webster defines a Luddite as someone opposed to tech advances. Musk “is the antithesis of a Luddite, but I do think he’s giving aid and comfort to the Luddite community,” said Rob Atkinson, president of the Washington, DC-based think tank. Musk, Hawking and AI experts say “this is the largest existential threat to humanity. That’s not a very winning message if you want to get AI funding out of Congress to the National Science Foundation,” Atkinson said. Tesla and Hawking didn’t respond to emails seeking comment. Last January, the two signed an open letter issued by the Future of Life Institute pledging that advancements in the field wouldn’t grow beyond humanity’s control. In July, they signed another letter urging a ban on autonomous weapons that “select and engage targets without human intervention.” The Future of Life Institute researches ways to reduce the potential risks of artificial intelligence running amok. It was founded by mathematicians and computer science experts, including Jaan Tallinn, a co-founder of Skype, and MIT professor Max Tegmark. Gates last year said he and Musk are on the same page. “I agree with Elon Musk and some others on this and don’t understand why some people are not concerned,” he said in a Reddit AskMeAnything thread. The issue, according to the ITIF, isn’t what Musk and others are saying. It’s how they say it.